Leading up to the Valentine’s Day, Folger Consort will be presenting “Food of Love,” a buffet of romance and poetry paired with chansons and madrigals on food, drink and passionate love by French and Italian Renaissance composers Clément Janequin and Orlando di Lasso at the Washington National Cathedral on February 8-9. “Complementing the song is enchanting ‘table music’ for strings, including selections from Schein’s Banchetto Musicale (Musical Banquet), composed as dinner music for the sophisticated courts of Germany,” the event brief said. Folger Consort is the early music ensemble-in-residence at the Folger Shakespeare Library, which was established in 1977 by founding artistic directors Robert Eisenstein and Christopher Kendall. The Consort makes programs to discover and enjoy music from the Medieval, Renaissance, and Baroque periods. The National Cathedral ceiling vault is thirty-one meters high: same as York Minster. Feels like we've come home! Concerts with the #FolgerConsort this weekend. The celebrated vocal ensemble is presented by Les Canards Chantants and viol consort by Arcadia Viols. 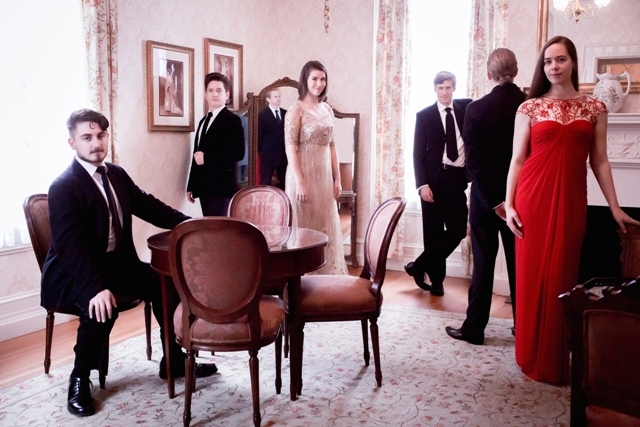 Les Canards Chantants, an American solo-voice ensemble performing renaissance polyphony, is reputed for their daring concert presentation, and for “engaging with the most unusual repertoire from the Renaissance.” Arcadia Viols has also performed in many venues in the North East and beyond, including Stratford Music in Ontario. Tickets are priced $30 – $60 and can be purchased here.